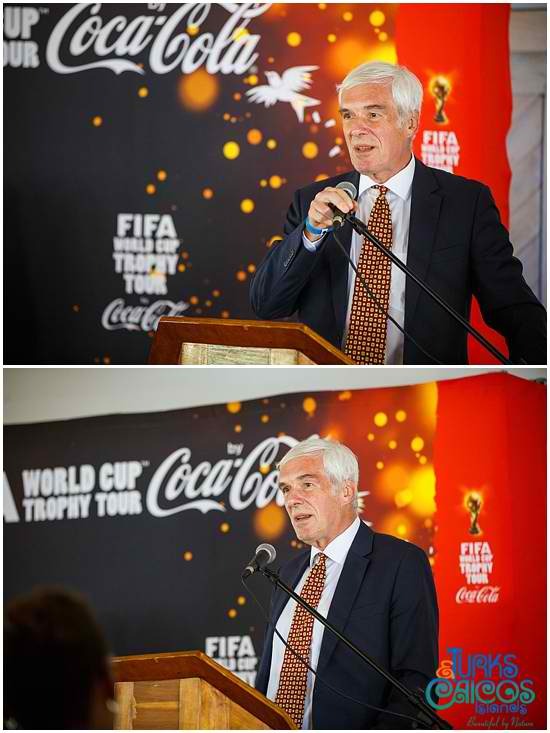 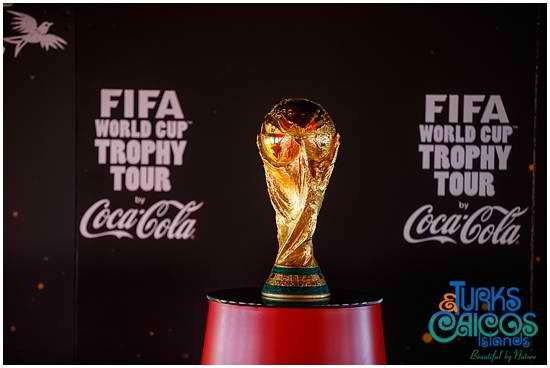 It was back in 2006 that the traditional of taking the world cup trophy around the world to generate interest in the competition first started. 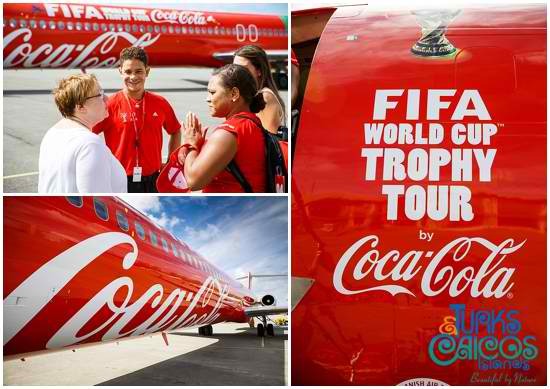 Now on its third tour the world’s most coveted symbol of football is going to visit 88 countries during its 267-day duration. 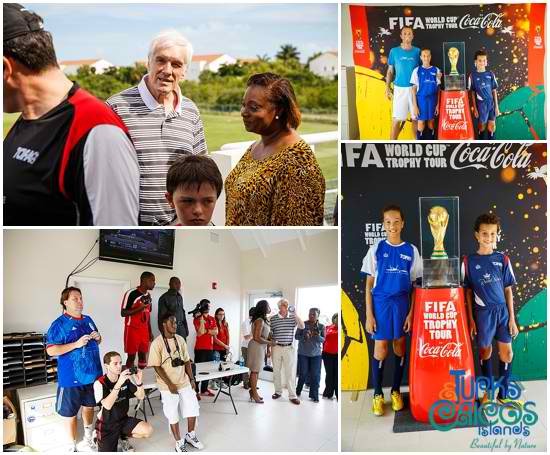 Last weekend was the turn of the Turks and Caicos Islands. 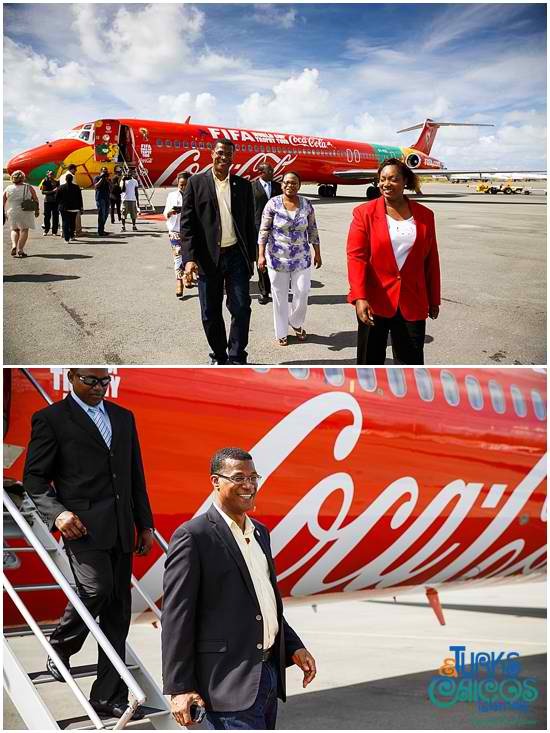 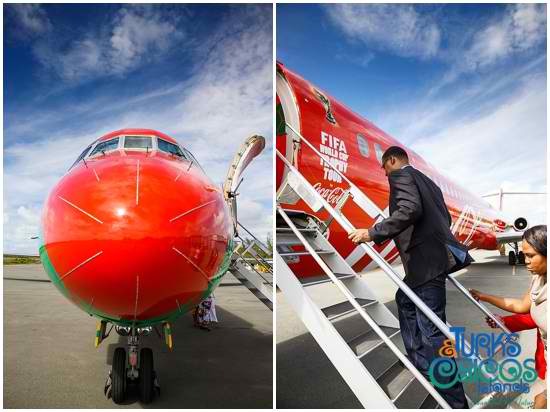 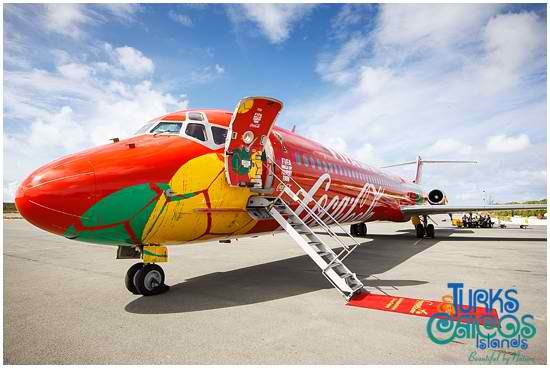 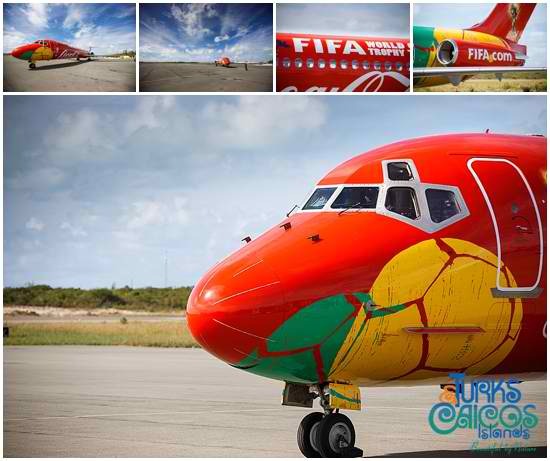 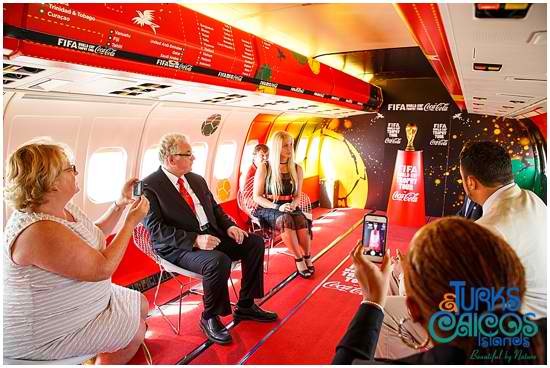 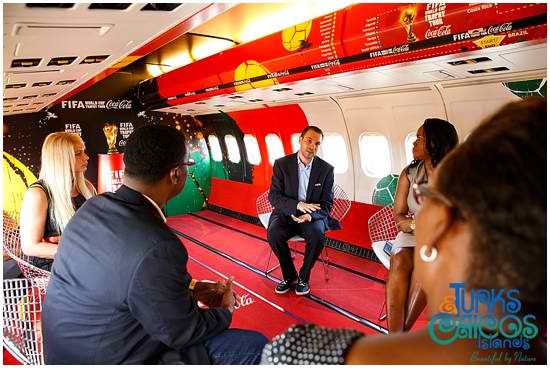 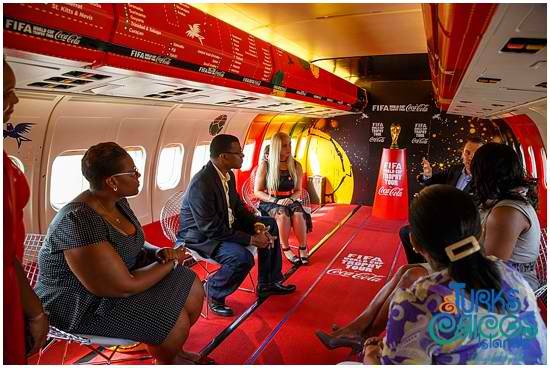 The Premier and other dignitaries met the special “tour aircraft” and team from FIFA and Coco-Cola at the private airport and the Premier was given a special private viewing onboard the aircraft. 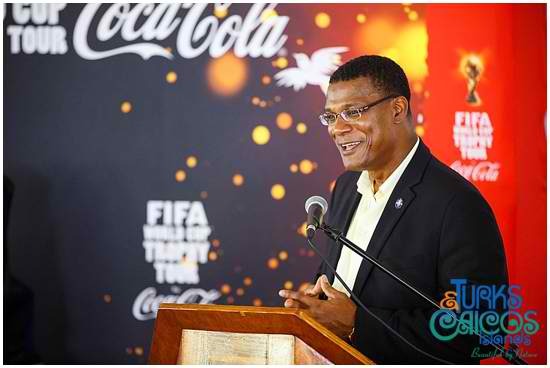 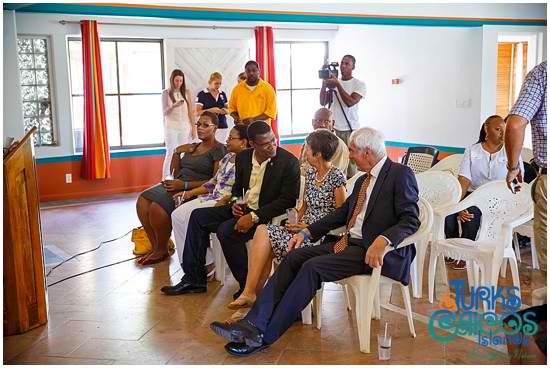 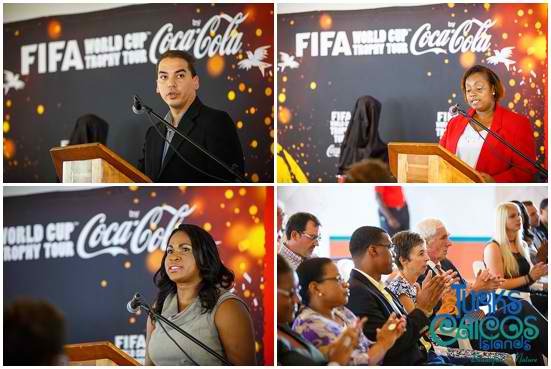 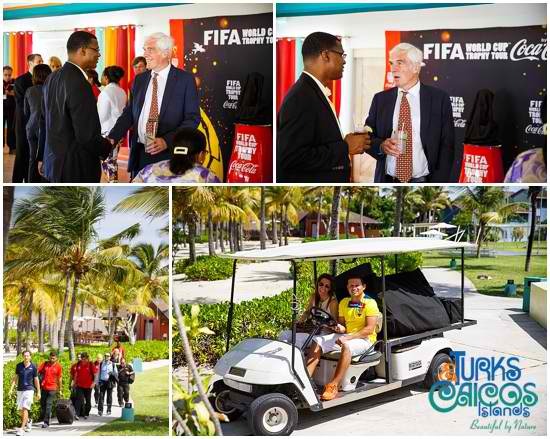 Then followed a press conference at Club Med where the Governor and the Premier both praised FIFA for there work in supporting soccer in TCI. 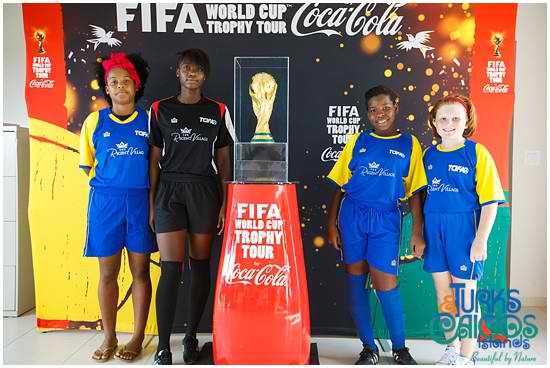 Later that afternoon the many kids and teams that play soccer in Turks were given an opportunity to have a picture taken with the cup. 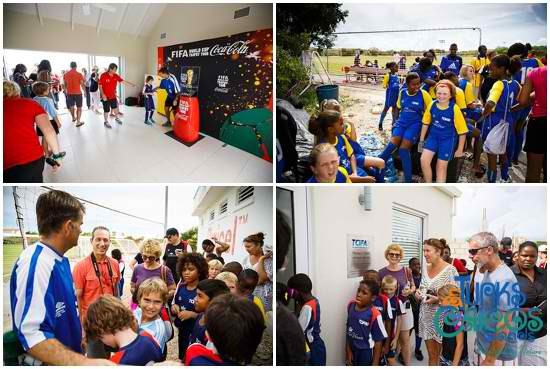 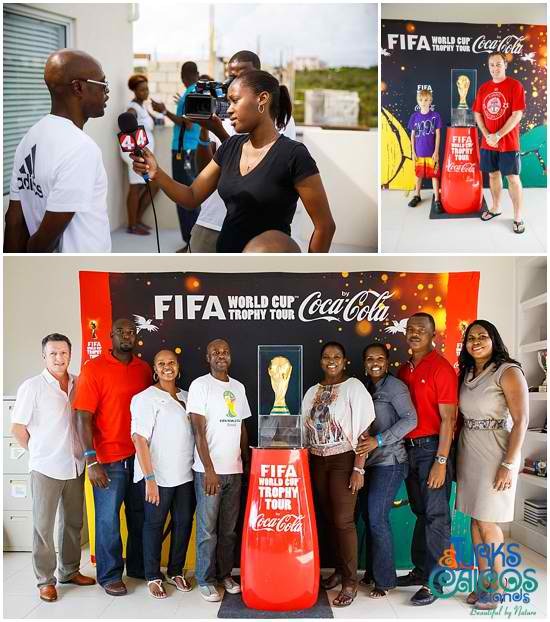 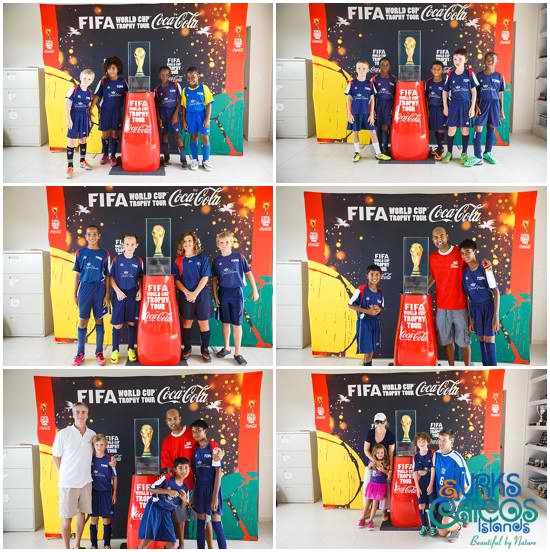 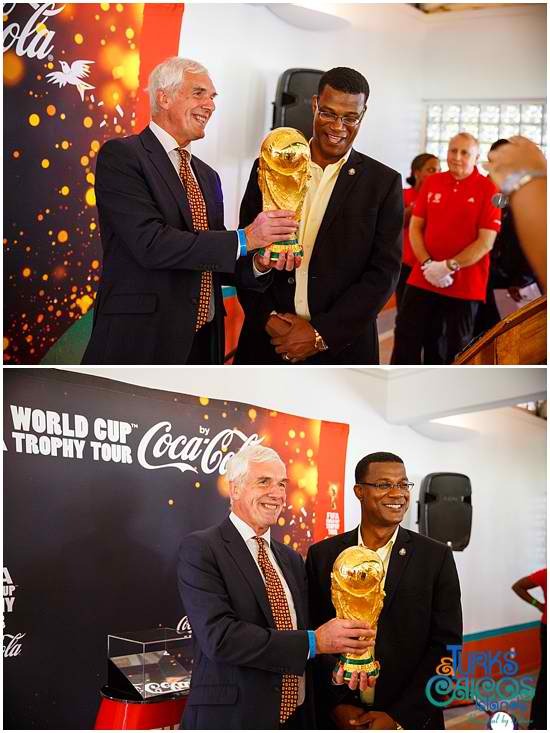 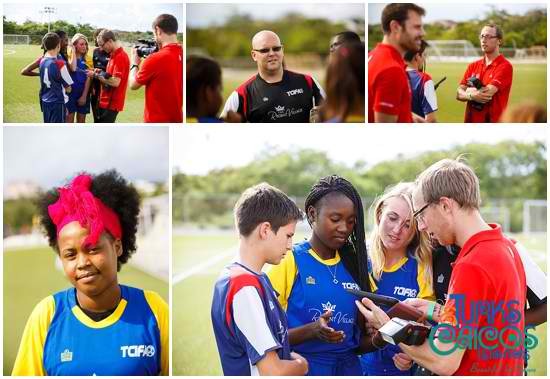 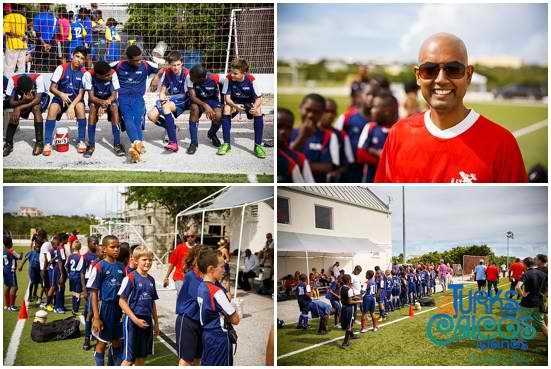 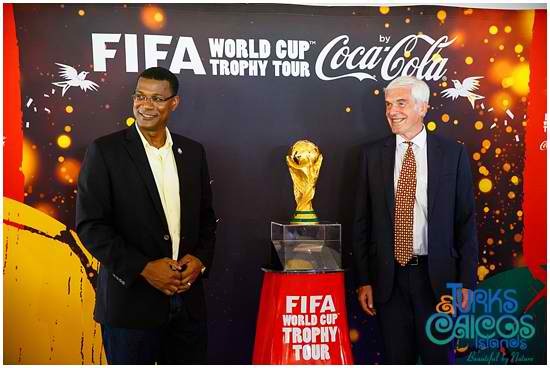 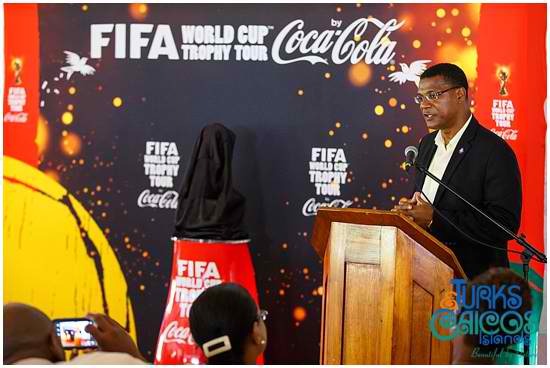 FIFA has done a lot to help foster the growth of soccer in Turks and Caicos and the enthusiasm which the kids (and adults) showed in seeing the cup was visible and vocal ! 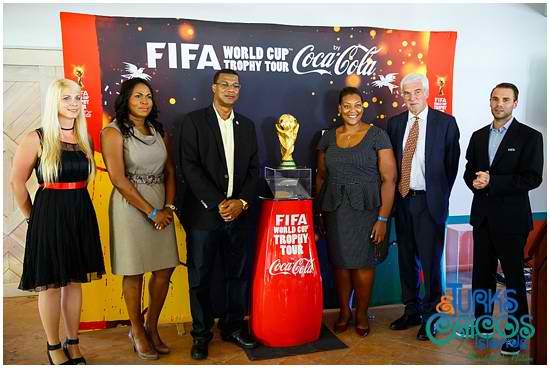 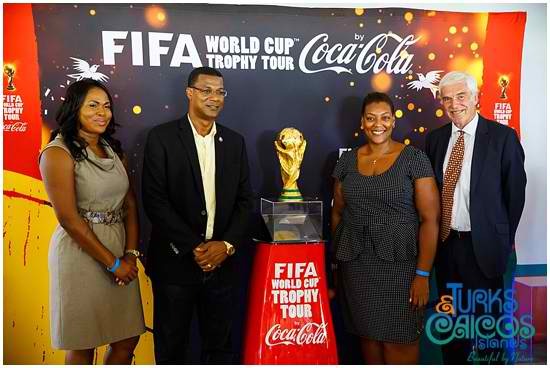 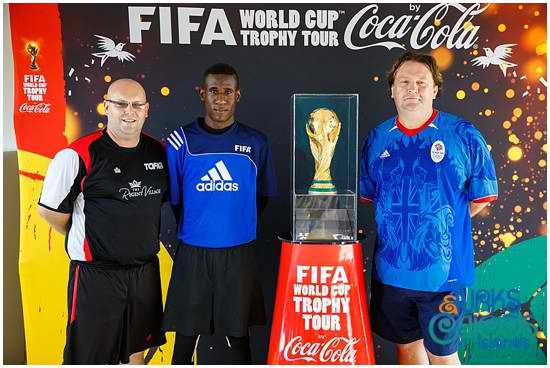 The cup continues on visiting other parts of the Caribbean in build up to the tournament next year in June/July.